All Dolled Up - Illustration store PicsForDesign.com. PSP tubes, PSD illustrations, Vector illustrations. Nothing better than pumpkin spice. Fall in the air, with winter heading in. 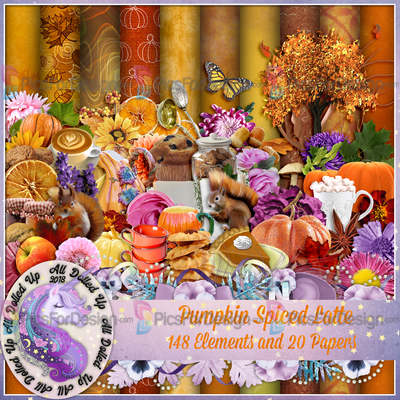 With 148 Elements and 20 Papers this kit will definitely put you in the Fall state of mind. Not all elements are shown in preview. For personal use only.